Dear Friends of the Center for the Study of War and Society! Have you ever wanted to see how historians do what they do? 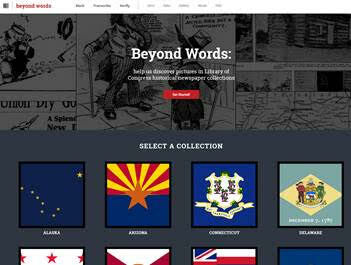 Have you ever wanted to learn more about the past using primary sources? Or are you perhaps just looking for a fun way to both learn yourself and help others learn at the same time? If so, we would like to point you to a great new pilot project presented by the Library of Congress entitled Beyond Words. The project is a crowd-sourced effort to turn historical newspapers from the World War I era into a publicly searchable database for future scholars – and the public! – to be able to use in their research. The project asks for the public’s help in marking, transcribing, and verifying the content of historical newspapers. You need not perform all tasks at once, but rather you can perform individual tasks as you see fit. Therefore, if you only want to mark sections, but do not want to transcribe, that is OK. If you just want to verify transcriptions, that works too. Alternatively, you can just transcribe articles to your heart’s content. This means you can spend just a few moments or hours on end helping make history accessible to others. Be forewarned, however, as the Beyond Words project is quite addictive. You may find yourself getting lost in the work of the historian, wondering where the day has gone! Try it over at the Library of Congress!